One thing every kid loves to do is draw pictures. But sometimes, kids drawings are just so bad, they’re good and we can’t help but laugh at them. The best part of it all is that these drawings are never intentionally funny, it’s just pure artistic creativity from a young mind. Check out these drawings that only a parent could love. This pint-sized artist went above and beyond when drawing their mother. 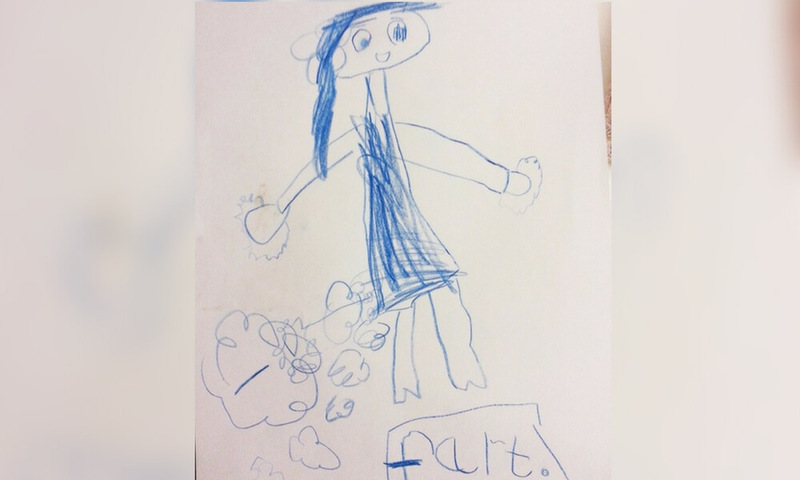 Unfortunately, this less than flattering sketch offered a little too much information about their mom’s farting habit. Apparently, this little artist thinks heir mother passes too much gas. We think they should just let her fart in peace.